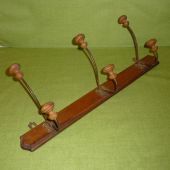 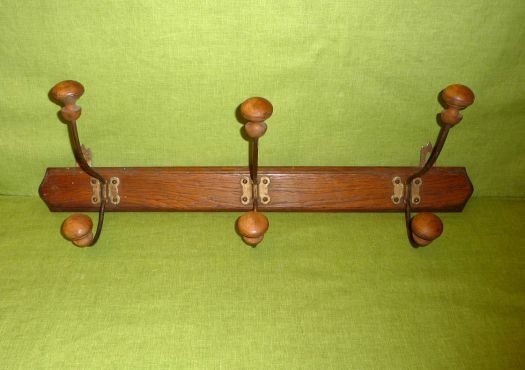 Charming wooden and metal coat-rack. 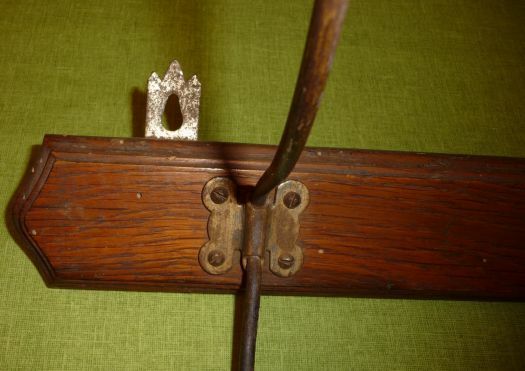 The hooks are not in brass but in iron, which had been painted with golden color. 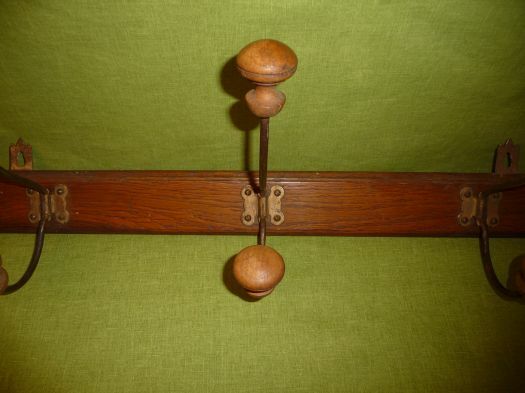 Good general condition,ready to be hooked.